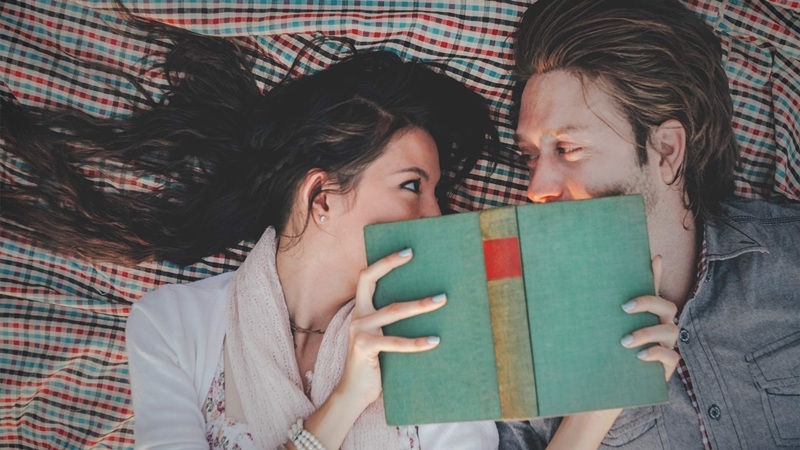 Contrary to what most people think, the introverts are actually very sensitive and romantic. Just because they don’t express their feelings doesn’t mean they aren’t in love. Moreover, when an introvert man is in love, he’ll do everything in his power to show you how much you mean to him. No, that doesn’t mean he’d make public declarations of love. Instead, he’d do the little things to make you happy. However, due to his lack of words and expressions, you may not always notice those precious little things. That’s why we wrote this article, to shed some light on how to recognize his love and appreciation towards you. When it comes to social gatherings, most of us don’t feel very comfortable, let alone the introverts. Imagine just how hard it is for an introvert man to be in a crowded room and to actually talk to a bunch of people while waiting for you to show up. If an introvert does this, don’t doubt for a second that he really likes you. There is nothing better for him than spending lazy Sunday all by himself while enjoying the comfort and safety of his sweet home. However, if he’s willing to spend Sunday with you and let you into his safe world, rest assured that he’s really into you. You’ll probably watch some romantic movie or cook nice food together, but the power of love lies in those precious moments when you’re actually not talking at all. An introvert is usually active on social networks. Whether he’s writing a blog or he’s playing a game, this is his blessed online space. If he actually shows you what he’s doing, that means he trust you more than anyone else in his life. So, when that happens, it is one of the introvert man in love signs. There is no need to rush things when it comes to introducing him to your friends. You must take into account that every time he talks to your friends, he’s putting a lot of energy and courage to do that. Talking to people, let alone your friends is certainly not an easy task for him. If he’s making an effort to get to know your friends better, honey, you really are on the way to win his heart. Talking on the phone is a real nightmare for an introvert. Not only does he have to response immediately, he also needs to find the right words for you. So, next time when you send him a text asking him to call back and he does call you, know that he’s making a huge effort to impress you. Moreover, you’ll know that you can count on him. He might not be an expert at talking, but he surely is a pro when it comes to the body language. So, instead of wondering why he doesn’t tell you the words of love, you should pay attention to his body language. The way he talks, the way he laughs, the way he touches your hair – all reveals how he really feels about you. Since he’s an introvert, he probably won’t be thrilled to give you feedback, but he’ll do that no matter what. Not only will he help you to see yourself more clearly by sharing his opinions, but he’ll also show you that you can trust him. This one is important among the introvert man in love signs. “Actions speak louder than words.” As we mentioned before, an introvert man in love will rather show you than tell you how much you mean to him. Whether he makes you breakfast in bed, or he brings you a delightful red rose, he does that to make you happy. There is nothing more enjoyable for him than seeing you smiling. Introverts don’t like to be in the spotlight and they don’t open the mind easily. But once an introvert man is in love with you, things have changed and he becomes just like the extroverts. He is talking all kinds of stories and jokes to you, and having a really good time with you. On the other hand, he shows you his bad and good side, knowing that you love him the way he is. What could reveal his feelings about you better than this? As we already said, introverts are actually very sensitive. Since their self-awareness is pretty high, they are satisfied with themselves but they are also more vulnerable. If an introvert man shares with you his feelings, thoughts, fears, and doubts, he really loves you. Moreover, he trusts you enough to be vulnerable in front of you. One of the introvert man in love signs is he will definitely tell you everything he’s up to. Whether he’s talking about his friends or what has happened at his job, you’re always the first one to know all the details. One of the signs that he really loves you is that he lets you be a part of his life. Whether the two of you are working on some projects, or you’re talking about future plans, he wants to share everything with you.